I have been with Shorewest since 2007, and bring 25 years experience in public relations and marketing to my real estate career. A 20-year resident of Ozaukee County, I specialize in helping clients buy and sell properties throughout the Milwaukee metropolitan area, with special focus on Northshore communities and Ozaukee County. I am a full-time, full-service real estate agent dedicated to providing superior customer service and expert negotiation. I pride myself in making each of my clients feel like they are my only client. Phone calls are returned same day. Information is proactively provided with real-time updates as the market changes and new listings hit the market. My strong work ethic enables me to provide my clients with unparalleled customer service. Today's fast-paced real estate market can be challenging. However, with this challenge comes great opportunity. I am dedicated to helping my clients achieve their real estate goals and move on with their lives. Call me today and let's get started! - Call Today for a Free Market Analysis! Buying and selling a house can be a difficult experience. Working with Patti Schulz makes it easy. Patti's professionalism, knowledge and experience led us through the trials and tribulations of selling our house and purchasing a new one without a worry. She handled all obstacles which arose and we knew she always had our best interest at heart. If and when the time comes to sell again, Patti will be our first call. Thank you for helping find the perfect home for me and my girls. You know I had been looking for literally ever, and I appreciate your perseverance, patience and creativity in finding ?The One?! I will recommend you to anyone looking for a knowledgeable, reliable, responsive partner. Your sense of the market was very helpful as well as your thorough analysis of each opportunity. When it came to selling my house, your network of realtors and clients was an obvious help. I really appreciate how hard you marketed and worked to sell my house quickly. Through both deals, you were a calming force and a fantastic problem solver. I simply could not have asked for a better realtor and friend! To say that our home buying and selling was an adventure would be an understatement, and we can't imagine having gone through it without Patti Schulz to guide us at every phase. She is professional, knowledgeable and responsive, even to questions early on a Sunday morning!! She negotiated two very complicated transactions for us, and helped us find our perfect home. There was never a question that was too insignificant or a request that was too troublesome. She handled all of them with understanding and good humor, even staying in touch with us while she was on vacation to make sure that nothing fell through the cracks. We would recommend Patti to anyone who is looking to buy or sell a home. She is truly outstanding. Patti's experience and professionalism were invaluable to us during a difficult negotiation with the seller. She expertly guided us through every step of the process and ensured a positive outcome. Patti was always available for questions, even while on vacation, and gave us the peace of mind we needed as first time home buyers. Thank you, Patti! Patti was wonderful to work with when my husband and I started looking for a new home at around the same time our twin babies were due. Patti was innovative - when I was pregnant and on bed rest, she used her iPad to Skype a showing for me. She was patient and accommodating - when we were ready to make an offer but I was unexpectedly hospitalized, she made the long drive to the hospital and waited while my very detailed husband and I pored over the paperwork. She had our backs - when the first house we made an offer on revealed some major issues during inspection, she was transparent about the problems and supported us when we decided to withdraw, but did so without pushing us. She was understanding - we had to bring our infant girls to our closing, but to Patti it was no big deal. I would definitely recommend Patti to anyone looking for a Realtor in the area. She knows the market and she is completely committed to her clients' success in finding the right new home. Part of my responsibility as the personal representative for my mother's estate was to sell her house, a single unit condominium at a time when condo sales were at a low point. Thank goodness for Patti Schulz! Patti gave me great advice, shared her in-depth knowledge of every facet of the sales process, persevered in the face of the lender's delays and was the reason the sale not only occurred but was satisfactory to all parties involved. Patti's attitude, commitment, ethics and outstanding communication make her the person I recommend to anyone who wants to sell or buy property. Thank you so much for all that you did for us during the process of buying our first home! We did not know much when we started the process, and you were so great about making sure we understood everything. Thank you for being so patient with us. We love the house and the neighborhood is great. Everyone is so friendly! Thank you very much for all your hard work. We really appreciate it! We are very grateful for the patience, persistence and empathy you showed during this difficult time in our lives, prior to selling our house. We were always reasssured by your positive attitude, and appreciated being kept informed and up-to-date on all showings, comments, etc. We have since recommended you to two of our friends who may be sellling their homes in the near future. You are truly a professional. Patti, I want to thank you for all of your hard work and perseverance with my buying process. I didn't know how the buying process in Wisconsin differentiated from my past experiences. You guided me every step of the way and always led me in the right direction. The best advice you gave me was, "You could do better," and I'm so thankful to you because it has led me to where I'm supposed to be, and not what I was considering settling for. Patti, you really go the extra mile and are such a sweetheart, I will definitely do buisness with you again. 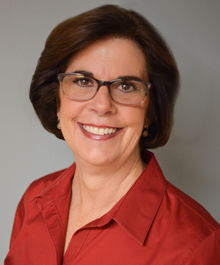 Patti Schulz is a seasoned real estate professional who provided me with extraordinary assistance in a complex purchase and very challenging real estate market. Her insight, perspectives, negotiating skills, and emotional support were outstanding. Thank you Patti! acquaintance and proved her expertise. I'm writing to thank you for all the help you provided to us during our protracted search for a "dream house" on the North Shore. As you know, our relationship began a few years ago when I saw how dedicated you were in finding a North Shore home for my son and his family. I was very impressed not only with your professionalism but your "grit" in dealing with a particularly difficult transaction. It was then I knew I wanted you to represent us in our search for a new home and in the sale of our home in northern Ozaukee County. Your patience and persistence paid off when, through your efforts, we found the home in Bayside in which we are now happily living and we're looking forward to the closing of the pending sale of our Ozaukee property. I was especially impressed, by the way, by all the help you provided to us after the Bayside purchase. Again, thanks very much for everything! "Patti Schulz was awesome in finding a buyer for this condominium. She made a nearly impossible sale become a reality, and stood on her head while on vacation to prepare for closing on short notice. Patti's tenacity, perseverance and outstanding communication were key to our success." "We did it Patti! Thank you for all your hard work." We were totally satisfied with Patti Schulz. We bought what we really wanted and Patti walked us through all the steps smoothly. Thank you Patti! Patti helped us through our whole homebuying process with expert advice that helped us sell our home and successfully manage negotiations for the home we purchased. Patti was very responsive and involved throughout the transaction.